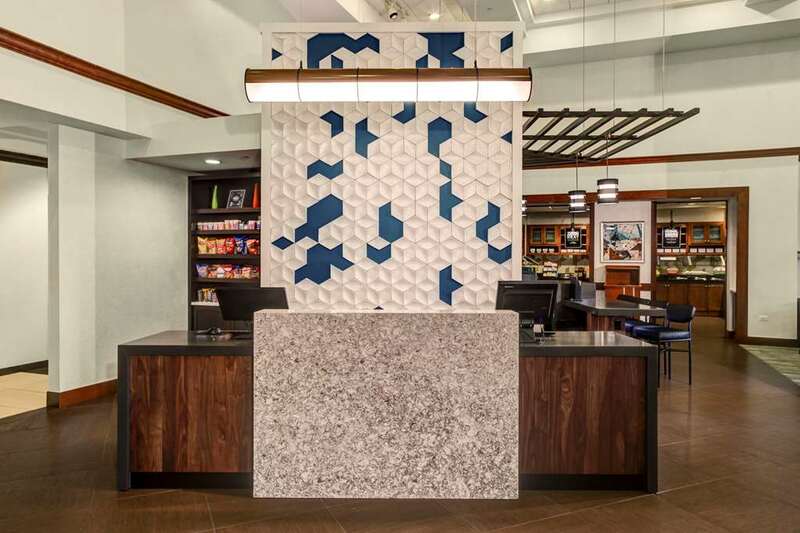 Hyatt Place is an exciting and innovative new select service hotel offering more of what is important to today's travelers. Our guests enjoy a spacious guestroom with a 42 inch high-definition flat panel TV, our signature Hyatt Grand Bed, a plush Cozy Corner oversized sofa sleeper that is separated from the sleeping area, and complimentary high-speed Wi-Fi internet access throughout the hotel. The innovation extends beyond the guestroom. Our Gallery is a warm and open area that features an intimate coffee and wine cafe and a TV den and an e-room with free access to a public computer and printer. World of Hyatt members can enjoy our free breakfast when they book an eligible rate. Our breakfast includes premium ingredients, cage-free eggs, and regional chef-inspired dishes. Served daily from 6:00am-9:30am (Monday-Friday) and 6:00am-10:00am (Sat-Sun) and can purchase freshly prepared menu items, premium espresso drinks, or beer and wine and cocktails 24 hours a day. Hyatt Place will allow up to 2 housebroken pets -defined as a dog- per room. The hotel will charge a Non Refundable fee of 75 USD. Pets cannot exceed 50 lbs each. Service Animals are exempt from fees. For stays longer than 7 days the fee is $100 for up to 2 pets. TGI Fridays: Fun family atmosphere, American food with flair! Famous Dave s Barbeque: The best BBQ you've ever had! Located in Richmond's west suburbs.